The island of Lesvos received 940 migrants and refugees in June, a record number for 2017, says an Athens News Agency report. Compared to the rest of the year, June has been a record month as the island saw 456 people arriving in January, 252 in February, 336 in March, 281 in April, and 534 in May.On the contrary, the number of arrivals on Chios was greatly reduced. Chios received arrived 309 asylum seekers in June, 324 in January, 275 in February, 824 in March, 505 in April and 948 in May. June arrivals on Samos amounted to 249, when in January there were January there were 249, in February 232, in March 172 , In April 247, and 243 in May. Overall, according to data from the General Police Directorate of Northern Aegean, on Lesvos there are 3,886 asylum seekers living in camps, 3,685 on Chios and 2,065 on Samos. A total of 9,636 refugees and immigrants are currently hosted in the Northern Aegean islands, when at the beginning of the year they amounted to 11,078. At the end of January they were 10,123, at the end of February 9,209, at the end of March 8,404, at the end of April 8,546, and at the end of May 9,170. 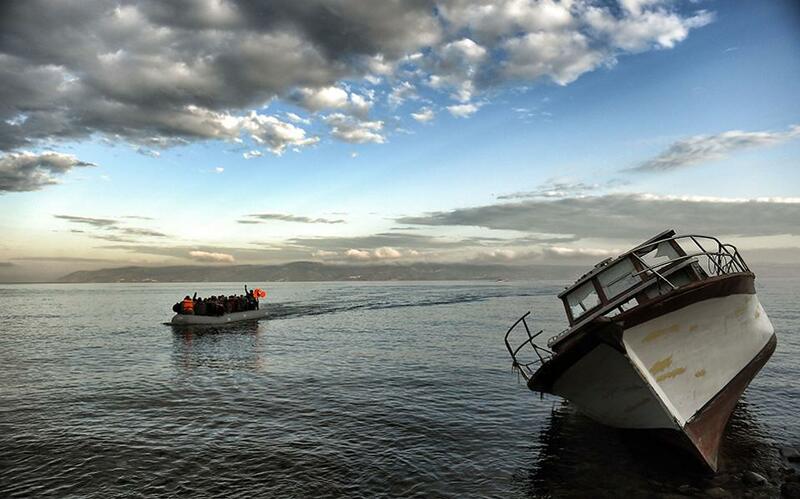 According to Turkish Coast Guard data, in June there were 39 interceptions of boats carrying a total of 1,454 migrants who were sent back to the Asia Minor coast. Since the beginning of the year, according to the same data, there were 159 interventions and a total return of 6,453 people.